The actor-turned-politician’s real life saga is far from being a box office hit. 1. 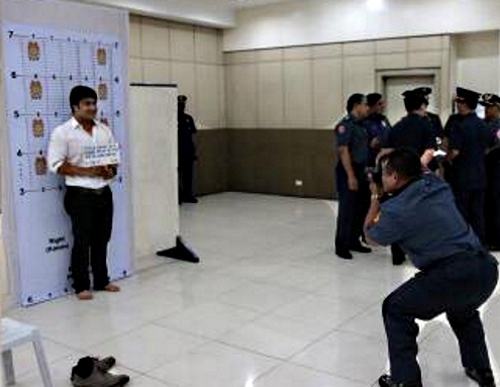 He had his own camera crew with him when he turned himself in at the Sandiganbayan. While the rest of us would have been content with selfies, Revilla required a group of people to catch every move he made on video. Philstar.com reports, "Revilla had a camera crew follow him from his house in Bacoor, Cavite all the way to the Sandiganbayan in Quezon City." 2. He smiled for his mugshot. In one of the photos released by the Philippine National Police’s Public Information Office, it looked like Revilla thought his mugshot was a headshot.